This item is not shipped in the original packaging. An exceptionally well-balanced and smooth single malt. To the nose there are delicate aromas of citrus fruit, and the palate is sweet, with notes of oranges and pears, and hints of toffee apples and candy. 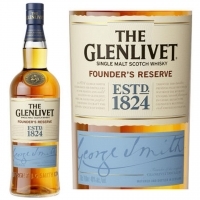 The long, creamy, smooth finish makes this a deliciously satisfying dram.